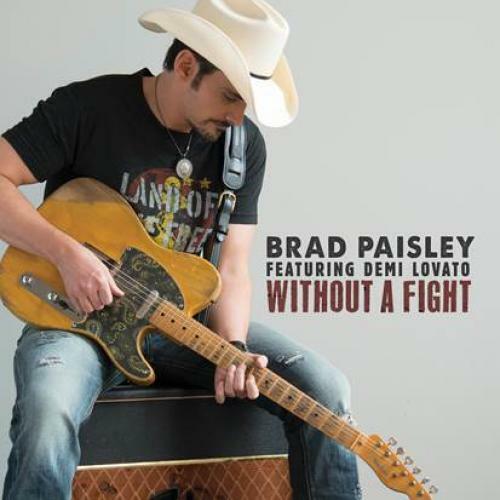 Nashville, TN - Country superstar Brad Paisley announced early today that his latest single, "Without A Fight," is out now! Featuring multi-platinum artist Demi Lovato, Paisley's first single from his forthcoming 10th studio album on Arista Nashville is currently the featured iHeartCountry World Premiere track and available everywhere today! The national television debut of "Without A Fight" is confirmed for Tuesday May 24th, on Jimmy Kimmel Live! on ABC 11:35 pm/10:35 pm Central. Both Paisley and Lovato will perform.